Nintendo Switch owners got their first taste of Warriors crossover action last year with Fire Emblem Warriors, the action-slasher mashup of the Fire Emblem series and Koei Tecmo’s Warriors series, a genre collectively known as “musou”. 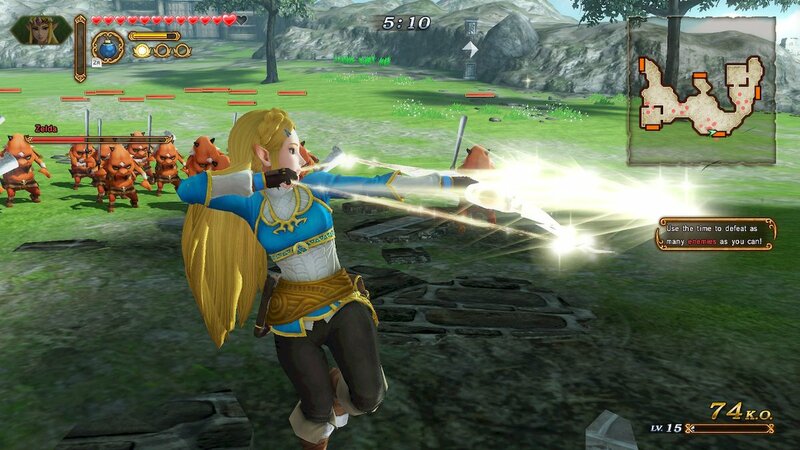 The two companies previously made crossover magic with 2014’s Hyrule Warriors, mashing up The Legend of Zelda series with the same action for an insane, fan service-laden combination. Now, it’s on Nintendo Switch in an appropriately subtitled Definitive Edition, promising to combine all the content and features of its previous releases on Wii U and Nintendo 3DS. Without a doubt, Hyrule Warriors is in its best form on Switch. Many veteran Nintendo fans will already be well-acquainted with Hyrule Warriors ever since it surprised and astonished in its Nintendo Direct reveal five years ago. For fresh newcomers, you take the control of multiple Legend of Zelda characters as they take to sprawling battlefields, hacking and slashing waves of enemies and super-powered bosses in epic combat to save Hyrule from the destruction caused by Hyrulian villains old and new. Multiple Zelda games are drawn from for inspiration, including popular targets like Twilight Princess, The Wind Waker, and Skyward Sword. 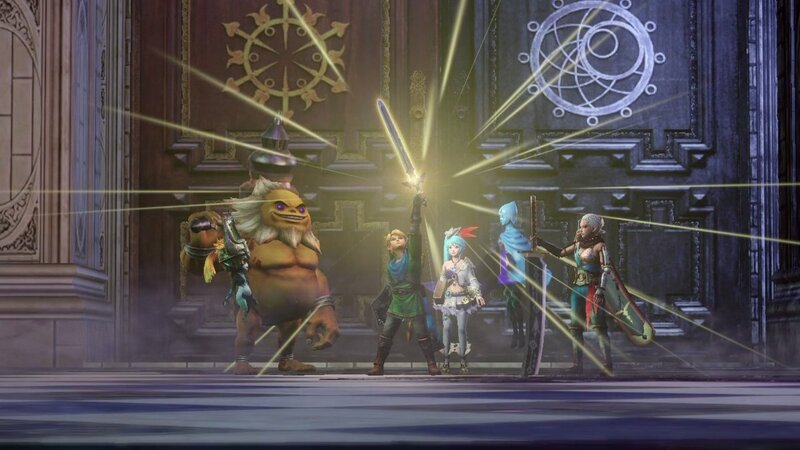 The simple story isn’t much to write home about; in Hyrule Warriors, it’s a framing device for a multitude of massive battles. Compared to proper Zelda, combat in Hyrule Warriors is much more simplistic, infinitely complex and yet perfectly simple all at the same time. No matter the mode, you’ll be hacking and slashing at enemies and giant bosses, using light and heavy attacks. What keeps things from getting too repetitive is a mixture of the combat’s flash and the upgradeable, indispensable Badge system that powers you up. As you progress, more Badges can be purchased to add more combo-heavy attacks, higher defenses, and abilities like being able to damage shielded enemies. A diversity of weaponry for every fighter also awaits you across the game’s 10 hour campaign, from swords to magic rods, magic books, and more that come with varying strengths and modifier abilities. Rupees earned across each mode gives you more opportunities to try characters out faster in other modes. In-game variety exists too, as you’ll be given minor objectives within the larger goal of killing everything in sight, from capturing Keeps from enemies to protecting Golden Cuccos from harm, escorting an important teammate to a location, and so on. The power trip angle of the Warriors gameplay doesn’t hurt in keeping things exciting, with the more intricate combos unleashing powerful and flashy attacks that annihilate hundreds of wee enemies. It’s mindless fun, although you may start seeing the repetitive combat wear you down over time. 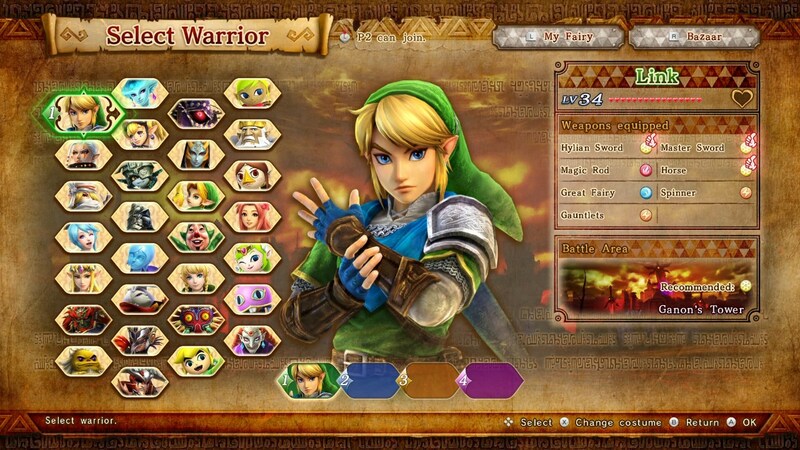 Hyrule Warriors: Definitive Edition proudly features every playable character from the previous installments, whether they were in the base game or available as DLC. The over-20 playable characters range from the expected popular crowd (Link, Zelda, Sheik) to the imminently villainous (Ganondorf, Ghiraham) and the unexpected and obscure (Tingle, Marin, Medli). 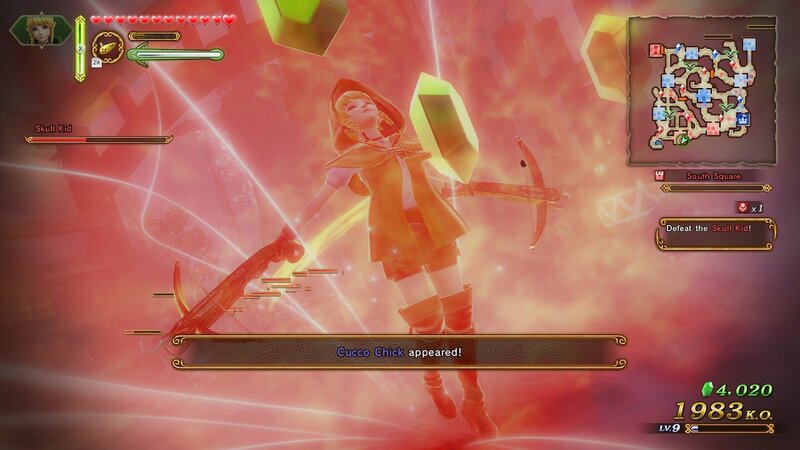 Even Link’s ditzy female counterpart Linkle makes it here from Hyrule Warriors Legends on 3DS, playing distinctly from her male counterpart with archery-based attacks and swifter movement speed. 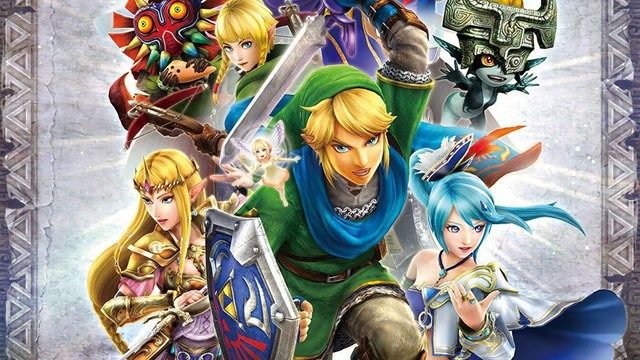 The populated line-up of Zelda characters is sure to bring out the average fan’s glee with the roster’s variety and the distinctive nature between characters. Every playable warrior performs the same actions, but feel slightly unique unto themselves. The starter character Link is an all-around go-getter who uses swords for melee combat and magic rods for long-distance, Midna floats across the battlefield and fights with her other-worldy hair(?) for grabs and pummels, while oddball Zant feels creepy, kooky, and altogether ooky, with strong moves that are tough to master the flow of. While the primary adventure mode restricts you to certain figures in each level, Free Play and more lets you get experimental and find the warrior that best fits you. All characters can also access sub-items like Bombs, Bow and Arrow, and the Hookshot for additional options and environmental exploration. It’ll take more than fan-favoritism to find the character that fits your playstyle best. 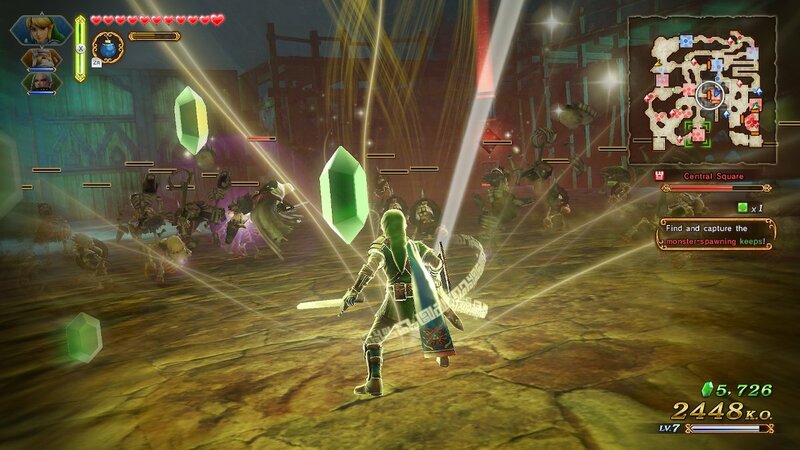 For the dollar to value ratio, Hyrule Warriors: Definitive Edition‘s amount of content is so vast, your head will spin more than Link’s Spinner weapon. Everything from the previous releases is here. 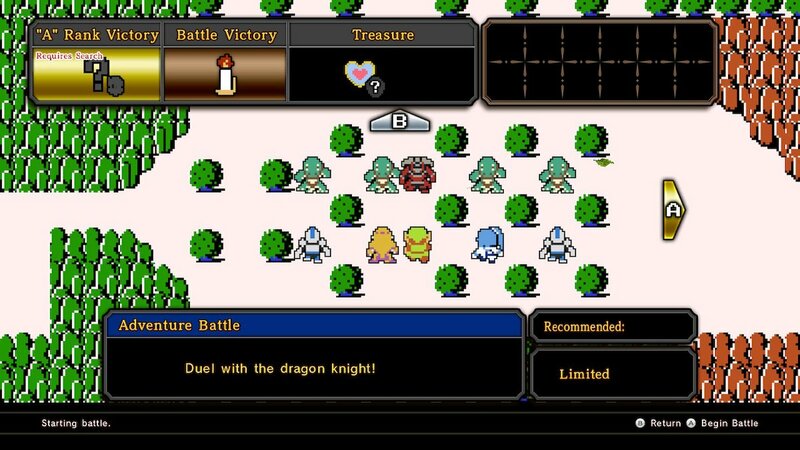 You’ll first be thrown into the Legend Mode for the main story and to start learning the mechanics. After the inaugural level, you’ll have the freedom to choose one of the many modes available. As you go deeper and deeper in, you’ll be able to level up and unlock additional upgrades for boosts in combat. Progress carries across all modes, giving you an incentive to power everyone up to their highest potential. And you’ll need to: each level, regardless of mode, contains hidden Heart Pieces, Gold Skulltullas, and win bonuses that are dependent on clearing with specific characters. Adventure Mode has multiple maps inspired by different entries in the Zelda series, varying by the depth and difficulty of their objectives. Often, it’s clearing X-number of enemies in a time limit, other times you’ll have to topple multiple bosses in small arenas. Clearing these maps proficiently is critical to unlocking the rest of the playable roster, alternate costumes, and further upgrades. Between all Adventure maps, you’ll be occupied for dozens of extra hours. Challenge Mode extends the objectives of Adventure Mode with even more specific maps to clear. Fairly warned be ye, some of the challenges will surprise you, like the opportunity to take control of a monster-sized Ganon. Meanwhile, the enigmatic My Fairy mode ties back into Adventure Mode with a fairy avatar to take care of, Tamagotchi-style. Taking advantage of this mode lets your fairy gain powers within battle. For returning players, not a terrible lot is definitively new in the Switch version. The most genuinely new addition are Breath of the Wild-inspired costumes for Link and Zelda; nice but inessential. The perk of owning the Definitive Version is to have all the previously-DLC content (characters, stages, and modes) available without extra purchase. That means the Linkle stages, the Wind Waker Quest map, and more are here. Albeit, as seen with re-releases like Mario Kart 8 Deluxe, you’ll have to unlock plenty content through normal play, especially costumes and extra fighters. Also brought over from 3DS’ Legends: the ability to switch between characters on the fly, a feature missing from Wii U. In terms of performance, the Definitive Edition outshines the Wii U original and especially the dreadful 3DS version with sharper image quality and improved performance. Where the original game looked a touch dull visually, colors and characters now pop on Switch. Docked mode for the telly is the optimal way to go in Hyrule Warriors. Running at a locked 1080p, the framerate mostly sticks close to 60 frames per second, the kind of ideal flow for a game built on high-intensity combos and precision-required button presses. In handheld mode at 720p, the framerate dips closer to 30fps to maintain performance, and no doubt battery life. In effect, you’re trading off fidelity for convenience. 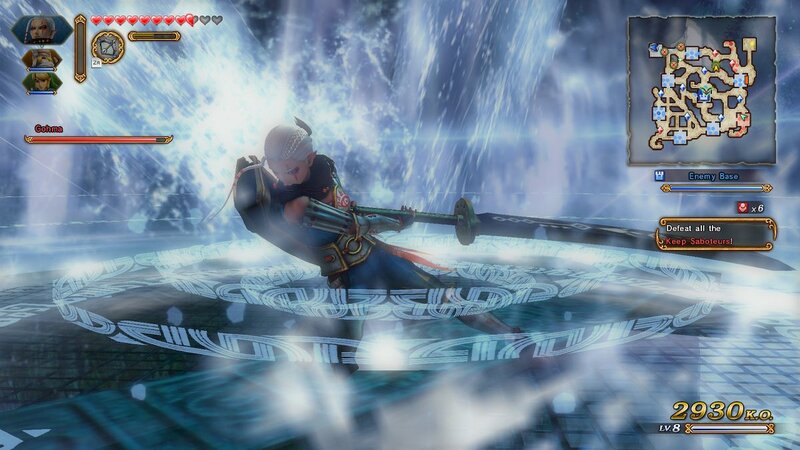 Co-op mode returns from the original Hyrule Warriors as well after skipping 3DS for obvious reasons. 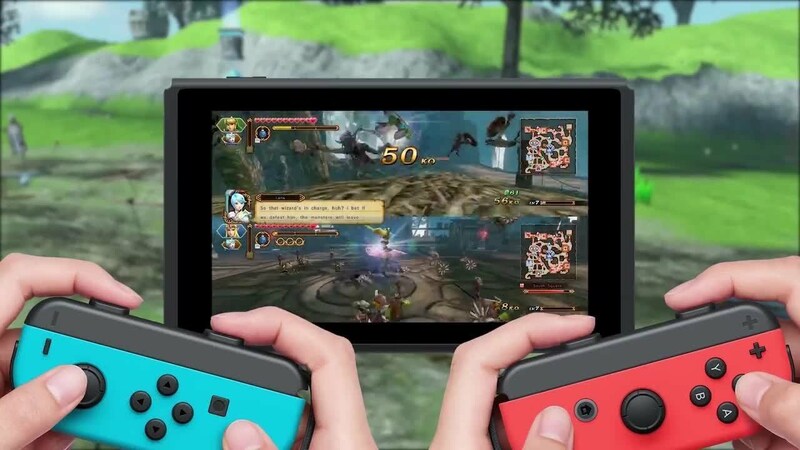 On Switch, you have the convenience of split-screen on one display instead of the Wii U’s dual display approach (in fact, single- and multiplayer can entirely be controlled with a single Joy-Con). Co-op play doesn’t run the best, however. The number of enemies takes a huge dip from over 200 to maybe 10 enemies on each screen, and the framerate and resolution suffers quite a bit. Playing with friends in a game like this has its perks, but doing so in practice is rough. Hyrule Warriors: Definitive Edition is an enormous bang for the buck, with hours of things to do, improved presentation, and gameplay that teeters the edge of fun and engaging to repetitive and brain dead. That’s almost a moot point given the love and care for the Zelda series that is on display, while having fun with its own premise. The original game on Wii U practically put this author to sleep. On Switch, it’s a better experience for improved performance, the dollar-to-value ration, and portability anywhere you go. So, what to do if you’re a fence sitter? Given this release’s full $60 price tag, fans who’ve played it on either or both of its previous versions should consider whether they’re burned out on the whole ordeal. This experience can gobble up dozens if not hundreds of hours for all the characters, levels, and modes to max out on. If you’re not too hot to trot on the repetitive Warriors-style of gameplay, Hyrule Warriors will bore you out of your wits. If you’re a Zelda fan who’s also a Hyrule Warriors virgin, give it a go. It’s a little rough around the edges, but Hyrule Warriors: Definitive Edition has enough fanservice goods to keep you hacking and slashing for a long time. If you’d like a copy of this for yourself, please check out our affiliate link below.